Mary is an executive level Information Technology Consultant with experience in several industries in both IT and business departments. Her diverse background has provided her with a unique perspective about IT’s role and the value it can bring to the businesses it supports. Mary has over 30 years’ experience in engineering and technology from industries such as Gaming and Hospitality, Healthcare, Consumer Products, Manufacturing and Education. She has worked for Fortune 100 companies as well as “for profit” and “not for profit” healthcare organizations. In February, 2011 Mary was the recipient of the Chief Information Security Officer (CISO) of the Year Award sponsored by InfoSecurity Products Guide. She holds current certifications as a Certified Information System Security Professional (CISSP), a Certification in Risk and Information System Controls (CRISC), and an ITIL V3 Foundations Certification. 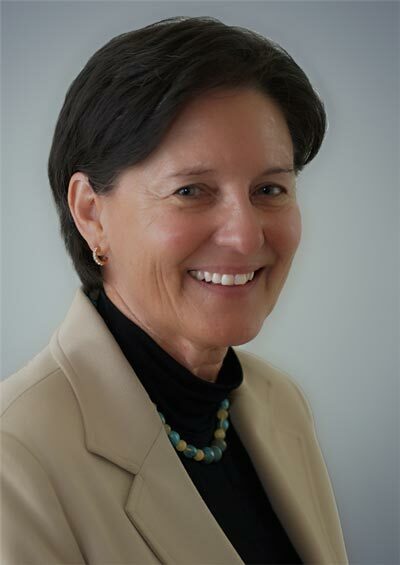 She is a Charter Member of the FBI Citizen’s Academy Alumni Association in Las Vegas, and serves as a Board Member for the Las Vegas chapters of both Infragard and a Board Member of the Information Systems Security Association (ISSA). She is a member in good standing of the International Information Systems Security Certification Consortium (ISC)2, the Information Systems Audit and Controls Association (ISACA,) and Toastmasters International. Mary was named by her Toastmaster Chapter “Sparkplug of the Year” for 2011 in recognition for her contributions to the Chapter. She is the recipient of the 1995 Cerviel Angel of Strength Corporate Achievement Award for Hispanic women and is a co-inventor of the Hallmark patent for Long Distance Greetings. While at General Motors, she led the team that developed Gold Plated Ornamentation for the Cadillac Division and in 1990 was a recipient as part of the Fisher Guide Division Team of the Society of Plastics Engineers Award for the “Most Innovative Use of Plastics”. She is an in-demand accomplished presenter. Mary has testified on cyber security before the Governor’s Technical Advisory Board in September, 2012 in Nevada, presented at national conferences including the 2012 Informational Technology Audit and Control Conference, the 2010 Gartner’s Security and Risk Management Conference, and the Health Information Management Systems Society (HIMSS) National Conferences in both 1999 and 2001. She has also presented at a number of regional and local security conferences in 2011 and 2012. Mary is a 1984 graduate of the University of Detroit with a Masters Degree in Polymer Chemistry and a 1978 graduate of Michigan State University where she obtained her Bachelor’s Degree in Chemistry. 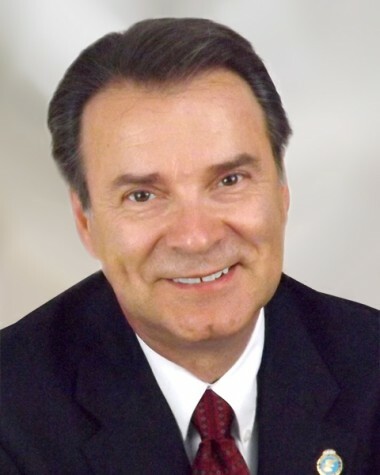 Terry is an executive level Information Technology Consultant with over 40 years’ experience in all areas of IT across industries such as Healthcare, Computers and Electronics, Transportation, and Banking. This background includes a number of Fortune 100 firms and several executive positions including: Assistant Vice President/CIO, Interim CIO and Deputy CIO. He has controlled annual budgets of over $30 million and staffs of over 100 employees. His current certifications include a Certification in Risk and Information System Controls (CRISC) and a Certified Computer Professional (CCP). Terry is a Board Member of the Las Vegas Chapter of the Information Systems Audit and Control Association (ISACA) and served as a Commissioner for EHNAC (Electronic Healthcare Network Accreditation Commission) from 2007 to 2010. Prior to his association with Innovation IT, Terry worked for 14 years at the corporate office of a $5 billion for-profit health care company where he was the acknowledged expert within the organization for IT projects relating to hospital construction, acquisitions, divestitures and combinations. In this role, he had total project management responsibility for over 40 such projects saving the company over $7 million in third party fees. He also managed the Implementation and on-going support of all financial applications, including an Accounts Receivable which channeled over $3 billion in annual revenues. In the areas of privacy and security, Terry provided tactical leadership for the implementation of all HIPAA-related changes to both policies and applications for over 25 acute care hospitals. All projects were successfully brought in on-time and within budget. Among these were: HIPAA Privacy changes across the organization (2003); HIPAA Transaction and Code Set changes within patient financial system (2004); and spearheading the creation of stricter IT policies and procedures to conform to HIPAA Electronic Security regulations (2005). Terry holds a Master’s Degree in Computer Science from Pratt Institute in Brooklyn, New York and a Bachelor’s Degree in Accounting from St. John’s University in Jamaica, New York. He has written or co-authored several articles over the years. In 2005 and 2006 as a member of the Innovations Planning Team (Siemens Medical Systems User Group) he helped plan the national meetings of over 1000 attendees. Terry is a member of Toastmasters International. He also volunteers for Therapy Dogs Incorporated (TDI) and for the Nevada Center for Missing Loved Ones (NCMLO) on their mounted search team.